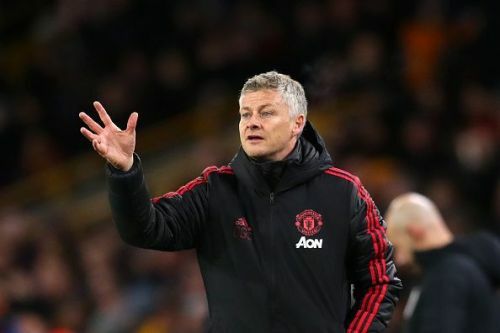 Ole has done a wonderful job at Old Trafford but is he the best person to take the Red Devils forward in the long run? “Ole’s at the wheel, tell me how good does it feel...” goes the song, a dedication by Manchester United fans to the man they think has turned the club around its head. It wasn't supposed to be this way. Solskjaer wasn't supposed to perform this well. But he has. He is now the favorite to get the permanent job, such has been his impact. Mauricio Pochettino, who was hands-on favorite to get the job when Mourinho was sacked, now seen as a distant second. However, emotion has somewhat clouded many people's judgments as far as Solskjaer is concerned. 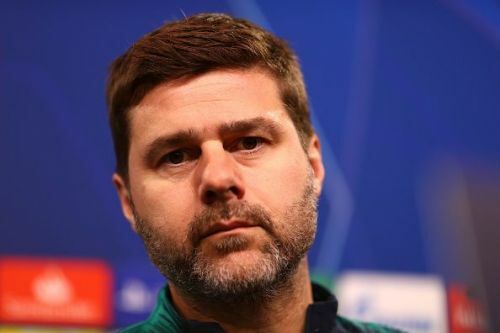 We look at three reasons why Pochettino might, and perhaps rightly so, get the job ahead of Solskjaer. Jose Mourinho hinted about this as much. Interim managers have a propensity to make players perform better for them. But in the long run, it often becomes untenable. Perhaps the best example history has to offer is Roberto di Matteo at Chelsea. Solskjaer arrived at Manchester United as an interim manager. It had become an open secret that Pochettino was the man United wanted for next season. Solskjaer was brought in to recharge the batteries, after a morose six months under Mourinho. Solskjaer has done that, and more. He has improved Marcus Rashford, made the world sit up and see the talent that is Paul Pogba, but he remains a relatively inexperienced manager. Interim managers, generally, are able to get the team together quickly. He and the players know that he isn’t going to be around for a long time, so the focus is not on transfers. It is not on forming alliances, making enemies. He acts as a pick-me-up tonic, piecing together broken players. That’s why Chelsea appointed Guus Hiddink twice as an interim manager. But to expect him to form a dynasty, that too at a club the size of Manchester United? The majority of Solskjaer’s managerial career has been spent at Molde, in Norway. The emotional diaspora is understandable. But passion in the short term has the ability to become harmful in the long term. Solskjaer has done an outstanding job, there is no doubt about it. But sometimes, hard decisions have to be taken. Ed Woodward is not a fan favorite among United fans. The arrival of Woodward coincided with the start of United’s struggles. Thus, he is often seen as a symbol of post-Ferguson United. His transfers during the beginning of his tenure were uninspiring. The shambles that was Marouane Fellaini’s transfer indicated his inexperience in this business. But he has learned his lesson. Pogba arrived, and Ibrahimovic, Daley Blind, Ander Herrera, and Luke Shaw have all performed with varying degrees of success. His stand against selling Anthony Martial last summer, despite Mourinho’s insistence, was well met. But it is fair to say that he has failed in the managerial department. David Moyes was an unmitigated disaster. Louis van Gaal didn’t work out. Mourinho was supposed to be better than those two, but he was already a spent entity by then. So would Ed Woodward be willing to take a risk in this precarious position? Between Pochettino and Solskjaer, Pochettino is obviously a more secure option. Woodward is caught between a rock and a hard place. Appoint Solskjaer, and if he fails, that is another red mark on Woodward's CV. Appoint Pochettino, and the fans will be displeased, to say the very least. It will be interesting to see Woodward's stance this summer. Pochettino is undoubtedly one of the best managers in the Premier League. His ability to get out a Tottenham side who have not conducted a single transfer for an entire year has been well documented. He has developed a myriad of youngsters, including Harry Kane and Dele Alli, and he has shown that he has what it takes to compete against the likes of Klopp and Guardiola. Pochettino is a loyal man. He has already ruled out coaching Arsenal and Barcelona, due to his links to Espanyol and Tottenham. But there is an overriding feeling that his time at Spurs is coming to an end. A cycle is on the verge of completion. The question is: What more can Spurs realistically achieve under Pochettino? He has made them a consistent top four team. He has given them Kane and Alli. The fact that Spurs do not look out of place, even against the likes of Real Madrid and Juventus, is a testament to Pochettino’s quality. The one criticism that has hounded him is his inability to win a trophy. Is Spurs the place where he can win one? He has already stated his respect for Sir Alex Ferguson, and the United board also rate him highly. With United’s near infinite resources, Pochettino could truly cement his place as one of the world’s best. Solskjaer has done a wonderful job at United. The PSG win will be remembered for a very long time. But with Real Madrid, perhaps the only other club that had shown interest in Pochettino, hiring Zinedine Zidane, Manchester United have a clear path to get the man they have wanted as their manager for a long time. Solskjaer, even if he leaves United this summer, will not be short of job offers. And a homecoming, after he gets some more training, should not be written off. But for now, the man to build the next United dynasty has to be Pochettino.